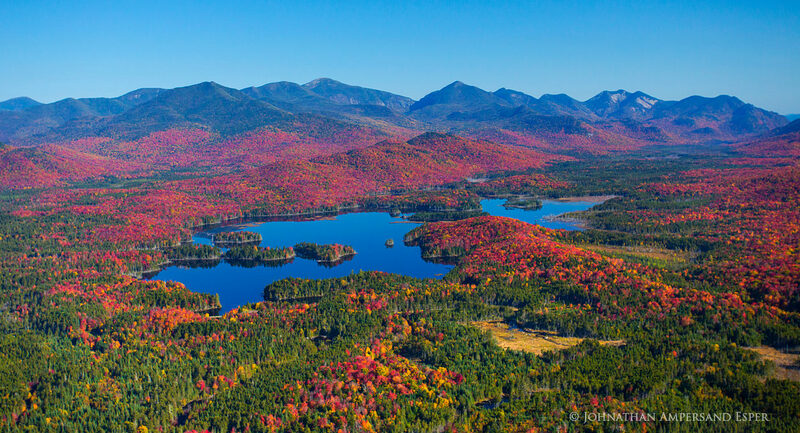 Boreas Ponds aerial view with High Peaks Range to the north incl. (L-R) Redfield, Allen, Skylight, Mt Marcy, Haystack, Basin, Saddleback, Gothics, Sawteeth peaks. Photo © copyright by Johnathan Ampersand Esper.